In addition to the REU program, students also have the opportunity to gain research experience through the Partnerships for Undergraduate Research (SPUR) Fellowship. 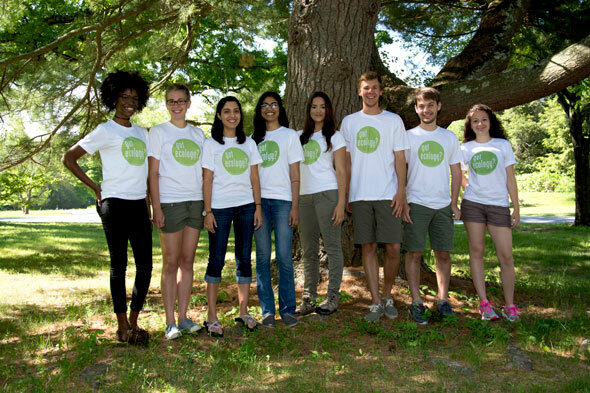 SPUR Fellowships are sponsored by SEEDS, a program of the Ecological Society of America, with the goal of broadening participation in ecology. The award supports the undergraduate student in designing and conducting an ecology research project of interest. SEEDS has established partnerships with field stations and mentors to offer exciting summer opportunities that will be tailored to meet student interests, career objectives, and growth as a scientist. For most opportunities, no prior research experiences is necessary. The program fosters reflection and builds self confidence and skills. To complement their mentored research, students interact in person and/or virtually, give and receive feedback and support, and participate in a rich assortment of enrichment activities, workshops and seminars in research and urban water sustainability. Support: $4,500 stipend, room and board on-campus or in nearby housing, travel allowance up to $900. The program starts and ends at Colorado State University in Fort Collins CO.
To apply: See our website at: https://erams.com/UWIN/urp/ Online application only. Applications must be submitted by February 10, 2017. Stipend: $6,300 stipend, plus a $900 food allowance and free housing in Bacon Flats Lodge. Other support: Assistance is available for travel to and from the program as well. Applications must be submitted by February 3, 2017. The Centeral Arizona-Phoenix Long-Term Ecological Research Site at Arizona State University is a partner research site with the SPUR Fellowship. As a fellow, you will have the opportunity to develop a question for your stufy, write a proposal, develop the methodology, conduct the study, and analyze results, thereby concluding a mini-thesis by the time you complete your summer. You may also have the opportunity to present your research on-site at the end of the summer. Regardless of your research focus, you may also have the opportunity to assist and implement site-based outreach activities to develop your skills in planning and executing events and educational programs. Additional career development activities are also provided at most locations. Learn more about the SPUR Fellowship: http://esa.org/seeds/fellowship/. 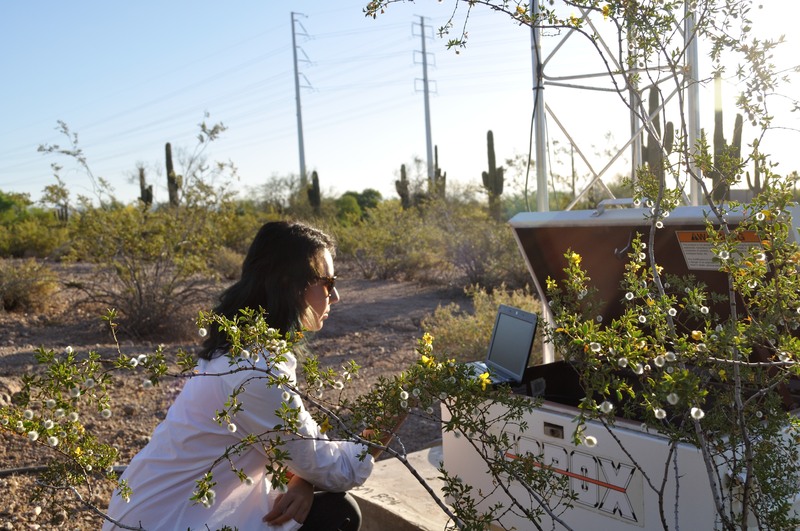 Description: The REU experience in the Central Arizona-Phoenix Long-Term Ecological Research (CAP LTER) program is structured to be a learning opportunity for undergraduate students to work with CAP senior scientists on urban ecology research projects in the greater Phoenix area. REU students take responsibility for a research project and are expected to produce a research poster and possibly to co-author a paper within a year of completing their experience. Past REU students have worked on a range of research projects: soils in residential landscapes, the urban heat island and vegetation, residents’ attitudes about vegetation and birds, arthropod communities in urban and desert patches, and nutrient cycling in wetlands, retention basins, and floodplains. All projects build off of CAP’s long-term research in the Phoenix area and involve students in gathering and analyzing data to answer research questions. 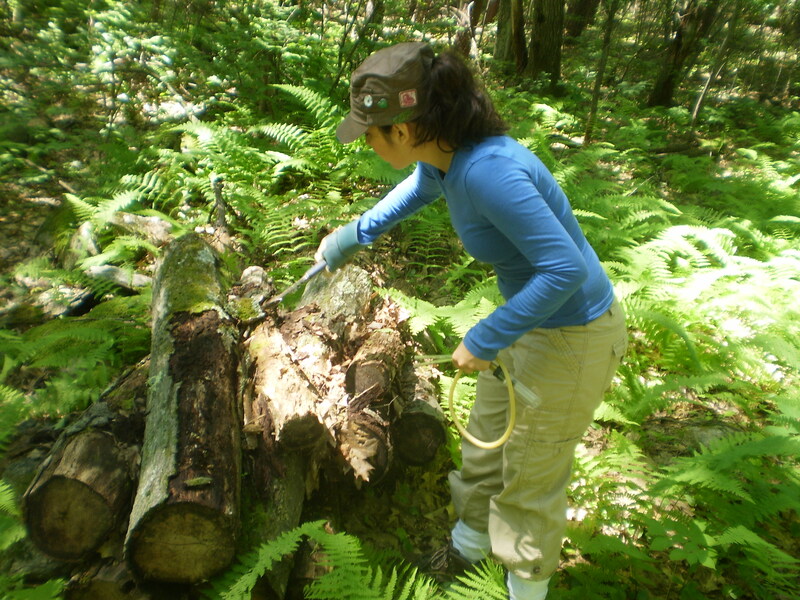 Many projects involve both field and lab work. REU students also gain an opportunity to work with senior graduate students and engage in peer to peer learning with other undergraduate students. 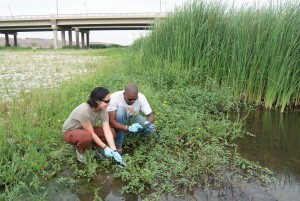 Learn more about the CAP LTER REU: http://esa.org/seeds/asu/. Other restrictions: Rising sophomores, juniors, and seniors. Other services provided: Housing is provided. Air fare/ mileage is provided. Ground transportation on site is provided if needed. Research materials or equipment are provided. We have career development / awareness activities in place. Applications must be submitted by January 16, 2017. The W.K. 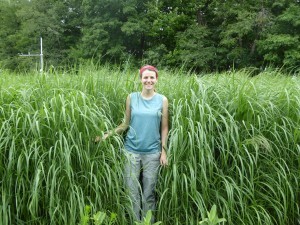 Kellogg Biological Station Long-Term Ecological Research Site at Michigan State University is a partner research site with the SPUR Fellowship. As a fellow, you will have the opportunity to develop a question for your stufy, write a proposal, develop the methodology, conduct the study, and analyze results, thereby concluding a mini-thesis by the time you complete your summer. You may also have the opportunity to present your research on-site at the end of the summer. Regardless of your research focus, you may also have the opportunity to assist and implement site-based outreach activities to develop your skills in planning and executing events and educational programs. Additional career development activities are also provided at most locations. Learn more about the SPUR Fellowship: http://esa.org/seeds/fellowship/. 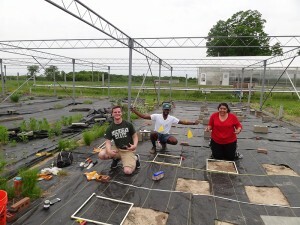 Description: The Kellogg Biological Station (KBS) provides outstanding opportunities for students interested in ecology, evolutionary biology, agricultural ecology and animal science. KBS faculty, post-docs, and graduate students are passionate about involving undergraduates in their research and KBS provides access to excellent research facilities, field sites, and an environment conducive to research. KBS REU positions give undergraduate students the opportunity to conduct full-time research under the guidance of an experienced mentor. REUs will work with their mentor to create and maintain a fully annotated dataset, collaborate to write a research proposal, present a professional research poster at the KBS Summer Undergraduate Symposium, and write a blog post about their research experience. Eligibility and Requirements: Students must be a US Citizen enrolled as an undergraduate at a US college/university. Other services provided: Housing and meals are provided, Air fare/mileage is reimbursed up to $500, ground transportation to KBS is provided if needed, up to $400 can be used for research materials, there are weekly professional development seminars and opportunities to interact with visiting scientists. 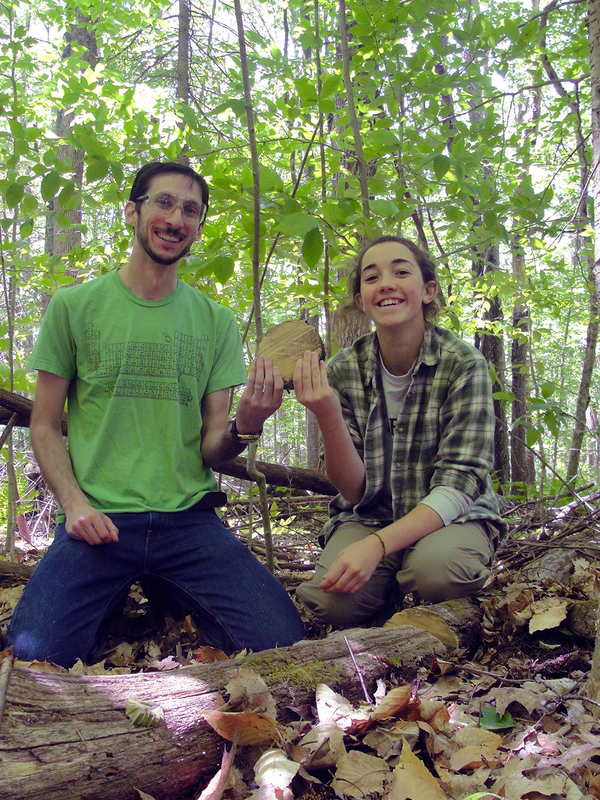 The Harvard Forest Summer Research Program in Ecology is an opportunity for students to participate in 11 weeks of mentored, paid, independent research focusing on the effects of natural and human disturbances on forest ecosystems, including global climate change, hurricanes, forest harvest, wildlife dynamics, and species diversity. Researchers come from many disciplines, and specific projects center on population and community ecology, paleoecology, land-use history, biochemistry, soil science, ecophysiology, atmosphere-biosphere exchanges, landscape modeling, and data provenance (see 2017 research projects and 2016 student abstracts). 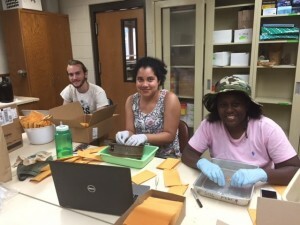 Read student experiences from past summers on our blog. Where is the Harvard Forest? The Harvard Forest is located in the town of Petersham, in Western Massachusetts. 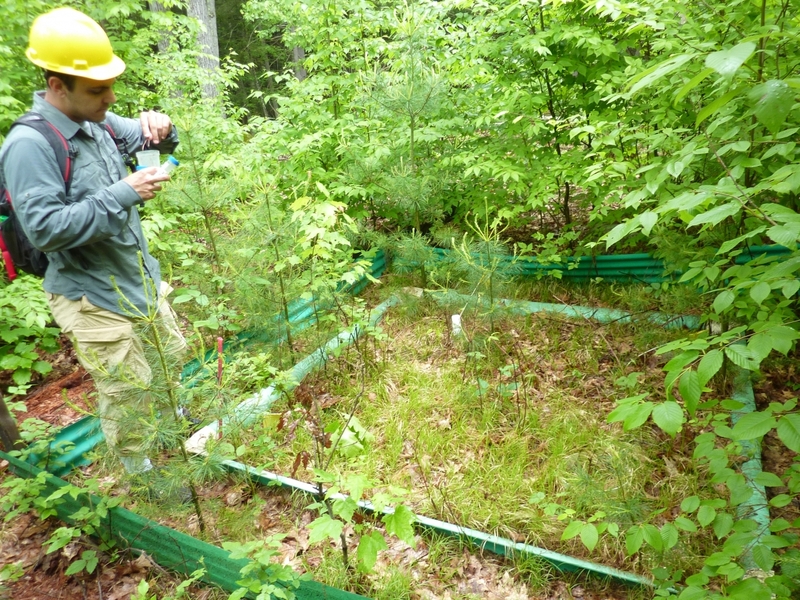 What happens to carbon that moves between stream and groundwater ecosystems? Carbon, particularly organic carbon, is a master variable in aquatic ecosystems, controlling nutrient and contaminant cycling, food webs, and drinking water quality. Organic carbon composition is complex and varies dependent upon its origin, and therefore what it does and where it ends up streams is still poorly understood. 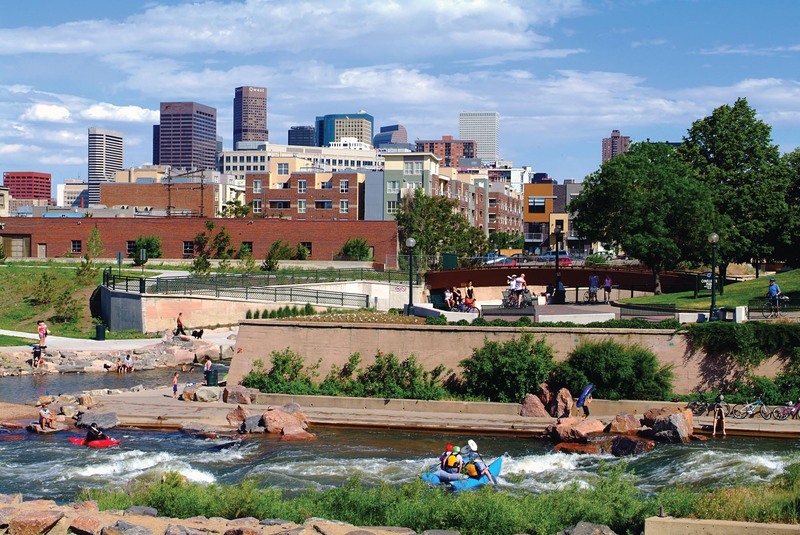 The area where surface and subsurface waters mix, called the stream-groundwater interface, is an important ecological environment that may play a significant role in how stream carbon moves and what it actually does. To date, this has not been studied much by scientists. This stream-groundwater interface creates strong physical and biological gradients that lead to a great deal of biological and geochemical activity that transforms and moves organic carbon, nutrients, and contaminants. In general, the organic carbon acts as an important energy source for microbial organisms existing in this interface, particularly those organisms involved in removing nutrients from the freshwater streams (for example, denitrification that can remove nitrate from streams). The result is that this interface has extremely large rates of solute transformation compared to other parts of the landscape. Our research group tries to understand the reactions that occur in the stream-groundwater interface, particularly the reactions that regulated the organic carbon entering and leaving this interface. The student will spend the summer helping to develop and carrying out stream experiments in the Augusta Creek, a beautiful, mixed land use watershed near to the W.K. Kellogg Biological Station (KBS) in Hickory Corners, MI, part of Michigan State University. This project will assess how carbon from different land use areas (for example, an agriculturally dominated stream vs. a forested stream) is processed at the stream-groundwater interface. Specifically, a series of stream tracer experiments, using carbon treatments, will be completed in multiple sections of Augusta Creek. Throughout the course of this project the student will learn valuable theory about streams ecosystems and biogeochemistry and be responsible for, with mentorship, their own research project. Through this project we will obtain some of the first evidence for how the stream-groundwater interface processes carbon from different sources and what it might mean for downstream ecosystems and water quality. In addition to learning about streams ecosystems, the student will learn valuable field techniques, laboratory analyses, and simple modeling. Field work will include significant time in streams, conducting manipulation experiments and making hydrologic and biogeochemical measurements. Laboratory work will include dissolved organic carbon and dissolved ion quantification and characterization using state of the art chromatography and spectrometry instruments. The student will also have the opportunity learn simple numeric models that turn field experiments, such as tracer test data, into physically meaningful information. There will be multiple opportunities for the selected student to develop their own independent project and network with the students and faculty across the main and KBS campuses of MSU. This research project lasts for 11 weeks, starting Monday, May 22 through Friday, August 4, 2017, working at least 40 hours a week. The student will be responsible for 1) meeting all requirements of their mentor, 2) writing a blog post about their research for the KBS LTER website, and 3) presenting a professional research poster at the KBS summer research symposium on August 2, 2017 at KBS. The student will be based on, and live near, Michigan State University’s main campus in East Lansing with frequent trips to KBS for sampling. The student is responsible for securing housing in or near East Lansing, MI. The student will receive a $8000 stipend to support living expenses, travel to Michigan, and up to $500 for research supplies. Travel to the sampling stations will be covered by the mentor’s lab. This project is funded by the National Science Foundation’s Kellogg Biological Station Long-term Ecological Research (KBS LTER) program. Priority will be given to non-MSU students who may not have many research opportunities at their college or university and under-represented minority students. Please note, students must be a U.S. citizen to apply. To apply for this position, please submit: 1. a detailed resume (or Curriculum Vitae), 2. a cover letter that includes a personal statement of less than 1 page in length that discusses career goals, research experiences and aspirations, and your skills/attributes that are suited to support this research project, and 3. contact information for 3 professional references. All application materials must be submitted to cullinjo@msu.edu and jpz@msu.edu by March 10, 2017. 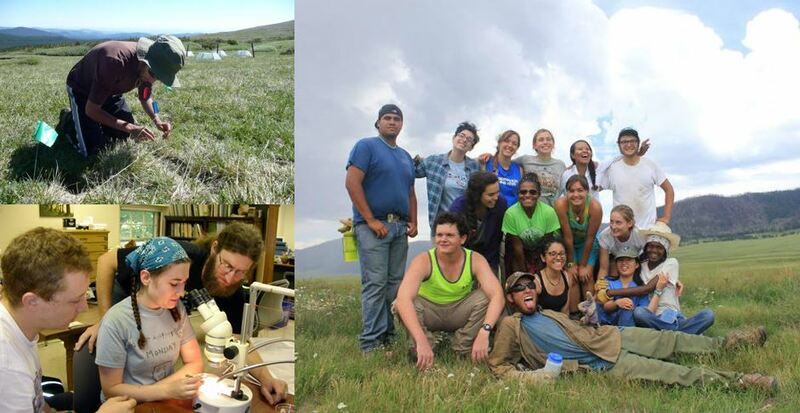 The Sevilleta Field Station is seeking applicants for Research Experiences for Undergraduates (REU). We are looking for 10 Biology REU students for the Summer of 2017. 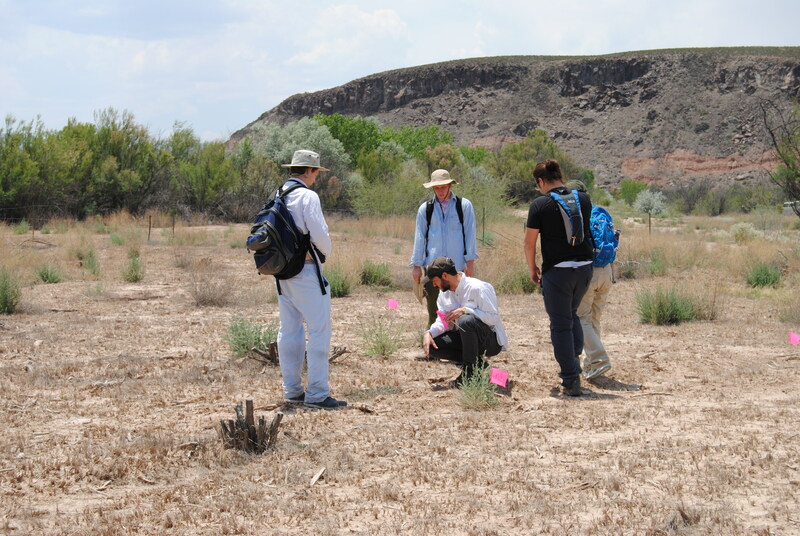 This interdisciplinary REU Site Program at the Sevilleta Field Station in central New Mexico will train undergraduate students who will conduct independent research under the guidance of UNM faculty in Biology, Ecology, Civil Engineering, and Earth and Planetary Sciences, along with scientists from Federal and State agencies. The summer program includes a seminar series, a weekly journal club, an annual symposium, professional development workshops, toastmasters, ethics training, field trips, and opportunities to interact with a multitude of scientists conducting research in the area. Students will conduct independent research in and around the Sevilleta National Wildlife Refuge (SNWR) and present their projects at the annual symposium to be held in early August 2017. 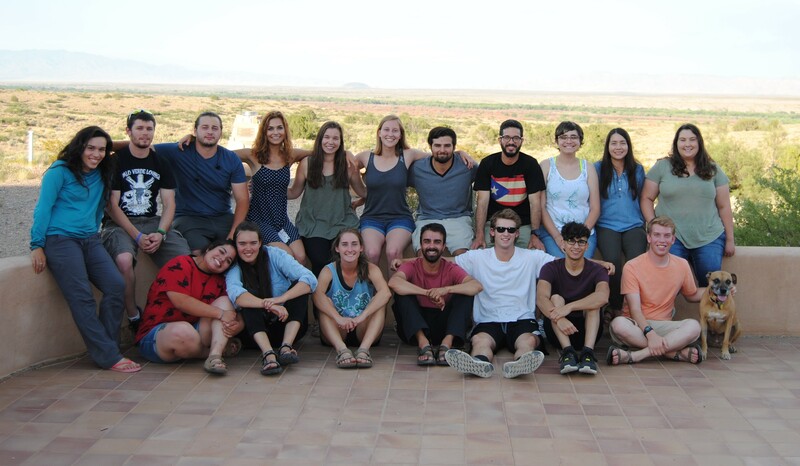 Working at the Sevilleta Field Station and SNWR site invites close interactions among students, faculty, federal scientists, and graduate students. • Foreign nationals residing in a country other than the United States. • Students that have completed high school but have not yet enrolled in a degree program at an educational institution of higher learning. • Students that have completed an undergraduate degree and are no longer enrolled in a degree program at an educational institution of higher learning. • The Sevilleta REU Program has no additional requirements. Applications will be accepted from students at any stage of their undergraduate program (freshman to senior) and any discipline, so long as the applicant is interested in conservation biology and ecology in aridland environments. • We are particularly interested in applications from students that have had limited opportunities to conduct independent research at their home institution. We welcome applications from students at four year colleges, students that are the first member of their family to attend college, non-traditional students, and students from traditionally underrepresented groups. 5. A two-page essay addressing the development of the student’s interest in ecology, the specific areas of research interest, and current professional career goals. Career goals are not required to be in ecological research. Essays can be single or double-spaced but should be in a legible font (min. 11 point) with 1 inch margins. The application form, resume, unofficial transcript, two-page essay, and letters of recommendation should be received by February 24, 2017. Questions regarding the application procedure can be directed to the Program Manager, Stephanie Baker by e-mail. Please put REU 2017 in the subject line. Applications must be submitted by February 24, 2017.